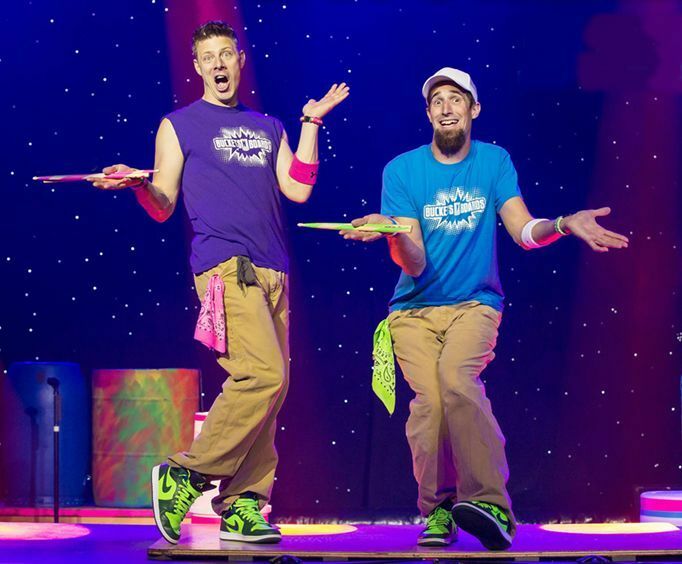 The revved-up duo of Matt Levingston and Gareth Sever bring to the stage their masterful skills at comedy singing, tap dancing and percussion in an innovative show that is sure to be fast-paced and lively. 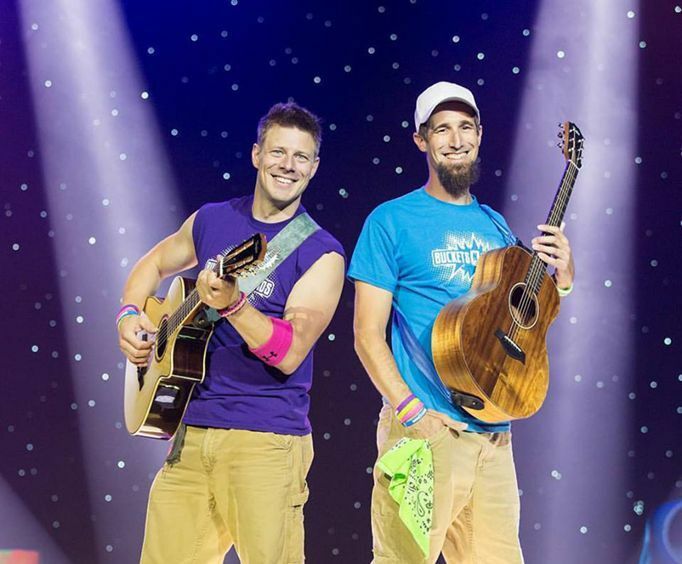 The duo’s unique brand of entertainment has caught the attention of people from all ages, from little kids to their grandparents. Every show is filled with a rhythmic euphoria and a fun dose of comedy to perk up audiences. 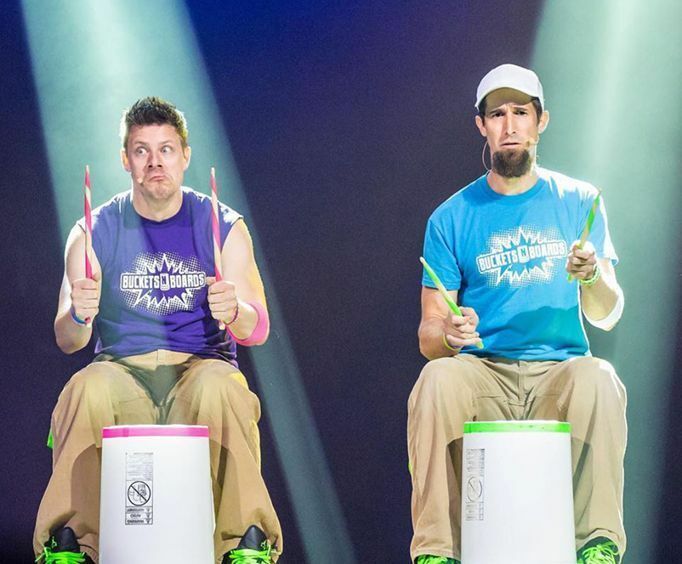 The performance combines all sorts of musical wizardry, from drumming on buckets to tap dancing, and from back flips to body percussion. Matthew "the face" Levingston started drumming at an early age on his mother's Tupperware using screwdrivers and continued his interest in percussion throughout his school years. Gareth "the hat" Sever also began his interest in music at an early age and discovered the art of tap dance when in school at Ithaca College. What is included in the admission price for Buckets N Boards? Approximately how long is the Buckets N Boards? Very good family entertainment and gets the audience involved! Fun comedy and good music. Their voices blend very well and both are excellent singers. Fantastic show for the money and would recommend it to all. Surprisingly funny, great routines, kept the kids and adults equally entertained! "This show is the greatest." This show is the greatest. The kids loved it. We laughed until we cried. The guys know how to keep their audience involved and their attention. My kids are trying to play buckets at home. This show is a must see. Great show, enjoyed it immensely. If you have children, they will love this show. First show i've ever seen with a professional squeaky toy player.